When my friend David Rusk, a primary school principal in Adelaide, Australia, fell in love with the disadvantaged children in Kathmandu, Nepal, little did I know the path on which it would lead me. 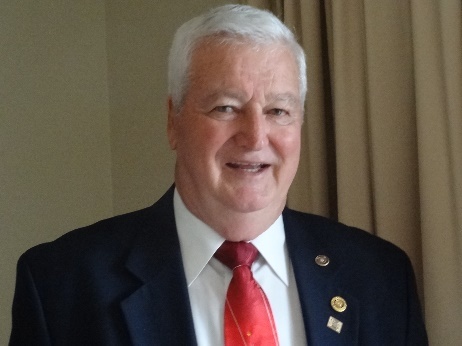 Through his connections with the Rotary Club of Dillibazar in Kathmandu, David had established relations with several schools leading to the creation of a teacher development program and financial sponsorship of about 80 disadvantaged students in the Nepali community. Then, by chance, David visited an orphanage on the outskirts of Kathmandu run by a saintly woman, Mother Rajan Bishwokarma. She had established the orphanage in 2007 which cares for more than 50 Dalit (untouchable) children and founded the Nepal Deprived Women Uplift Centre organisation. David immediately saw the urgent need for a school to accommodate the children from the orphanage. In typical David fashion, he marshalled all of his resources in Adelaide to raise more than $AUD 200,000 to build a school alongside the orphanage. Family and friends were not immune. David spoke at Rotary clubs and Rotary District 9520’s conference to gain support. A group called “Friends of Nepal” used film nights, car rallies and dinners to help raise the necessary money to commence the project. 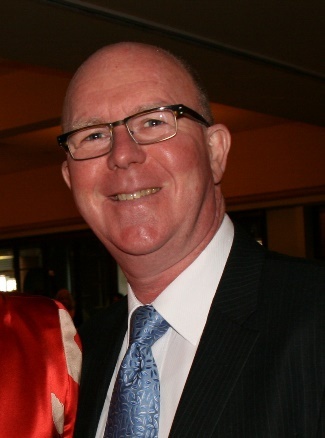 After approving the school plans and returning back to Adelaide in August 2013, David was diagnosed with an aggressive form of skin cancer and died exactly three months later. In those short three months, David did everything he could to ensure that the project would be completed. This included asking me to become the project manager. I am now quite familiar with Kathmandu! The completed Kumari Vidhya Mandir English School. The result has been spectacular. In collaboration with Rotary Australia World Community Service (RAWCS), the Rotary Club of Dillibazar and the Rotary Club of Brownhill Creek in southern Australia, the Kumari Vidhya Mandir English School project has been completed. 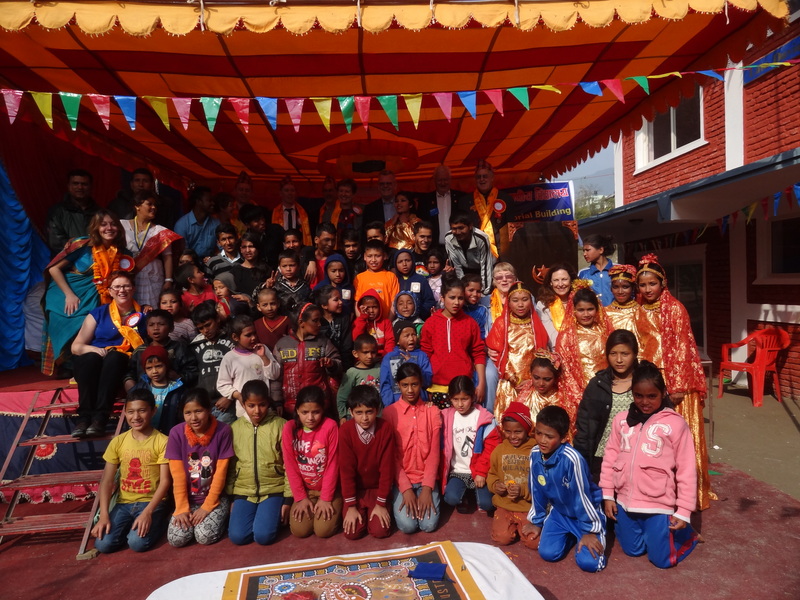 On 22 February, we hosted the official school opening ceremony in grand Nepali style. A group of 11 family friends and Rotarians made the trip to Nepal as the event’s distinguished guests. With some twenty percent of funds being depreciated as the result of the falling Australian dollar, the path has not always been easy. But the results are rewarding: fifty orphans now learn in a modern, spacious school. An additional seventy children from the local community are also eligible to enroll at the school. And most importantly, the school will serve many future generations. We are now looking to set up a trust fund to ensure an ongoing maintenance program for the school. $AUD 300 per year can sponsor a student by covering living and schooling costs. I know David would be so proud to see his dream come true! Please contact me if you wish to know more or contribute to the trust fund or sponsorship program. Students at the new Kumari Vidhya Mandir English School. 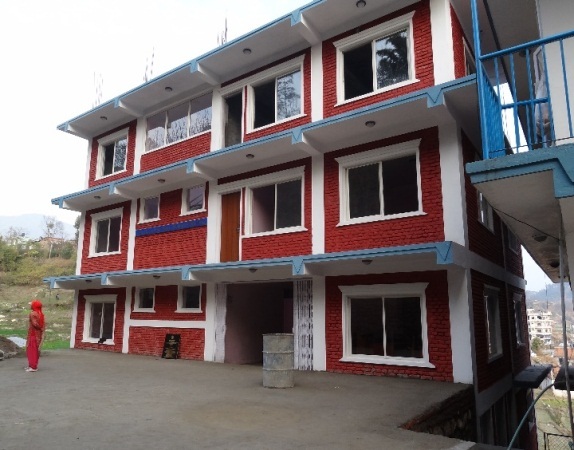 Check out this great project that RC Malcolm Lindquist has been project managing since August 2013.
this is a very great story for the kids who don’t have homes.I solute those people who did this for our neplai small babies but this types of examples should be reach in every part of Nepal where they are living in very poor standard.I would like to request those people who are involve in this social fields in Nepal from Nepal please make a meeting in open ground than in big resort to save little money to help those people and and stop donating for those who already have see for those who never had …….please learn something from those people…not only clapping on others….. This is an excellent project and example of Australia- Nepal relation. Rotarians; Very well done, not only an ‘awesome’ Project but an inspiring story which will bring these Nepalese Childrens’ dreams to bear fruit! This project is the best example of how a partnership between a committed local Rotary Club (RC Dillibazar) and a group of Rotary Clubs of Adelaide, Australia, could materialize not only the dream of Late David Rusk but also of hundreds of orphans, deprived children of Nepal. I feel proud being a part of the team for conceiving this project with David and Rajan Biswakarma. i also feel proud being a person to made MOU with david,RAWKS,DMUK ,RCD & MOU with contractor,i spend one day & half night with david to finalise all MOU which was made by me i was the than secretary of RC Dillibazar. the statue of david in school premises. Much elated getting the project materialized. Actually the project MOU was signed among the President( me myself), Secretry Indra Shekhar Khadka and David Rusk in the regular meeting of RC Dillibazar in 2013 and now the project has been completed successfully. Congratulations to all the Rotarians from RC Dillibazar and Australia RAWCS Family for such wonderful work. On behalf of RC of Dillibazar I would like to thank the Rotarians especially from RC Brown Hill Creak for your initiation.Geographically you are far but spiritually we are together. Also thanks to District 3292 Nepal Bhutan for your encouragement & moral support. David Rusk dreamt and the Rotarians accomplished…..Wish DMUK would give quality education to the children. All the Best to DMUK Family.